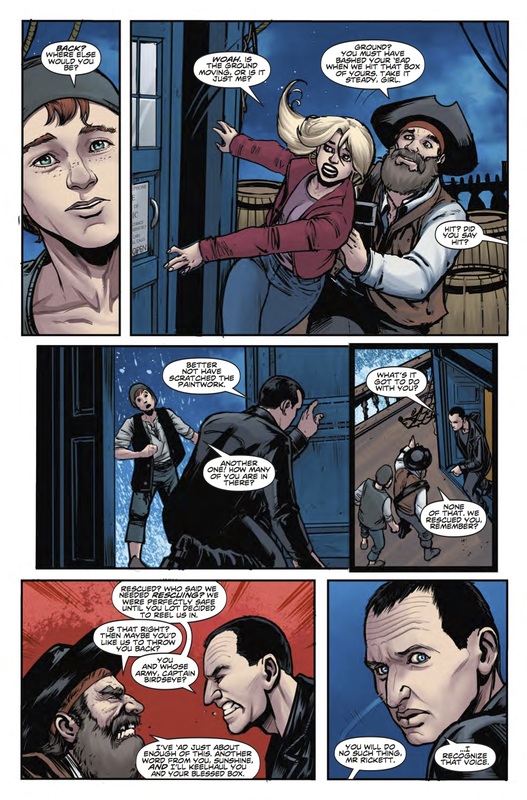 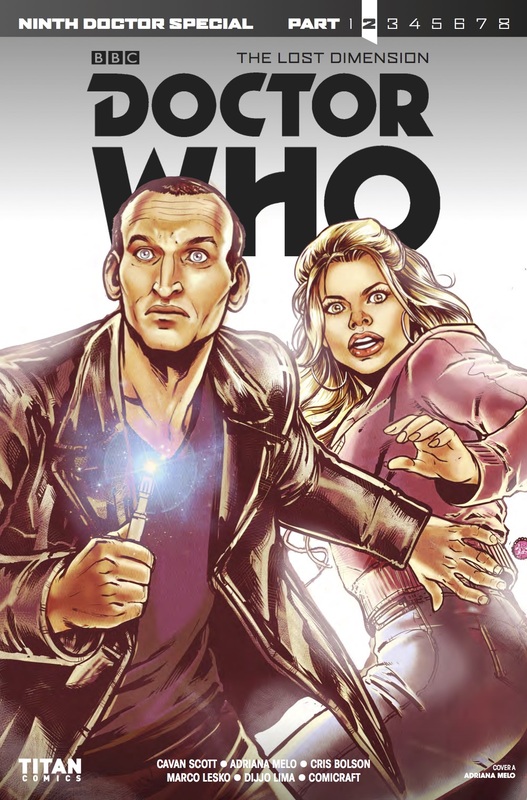 The Fellowship has obtained a first look at DOCTOR WHO: THE LOST DIMENSION #2 - NINTH DOCTOR SPECIAL from Titan Comics. 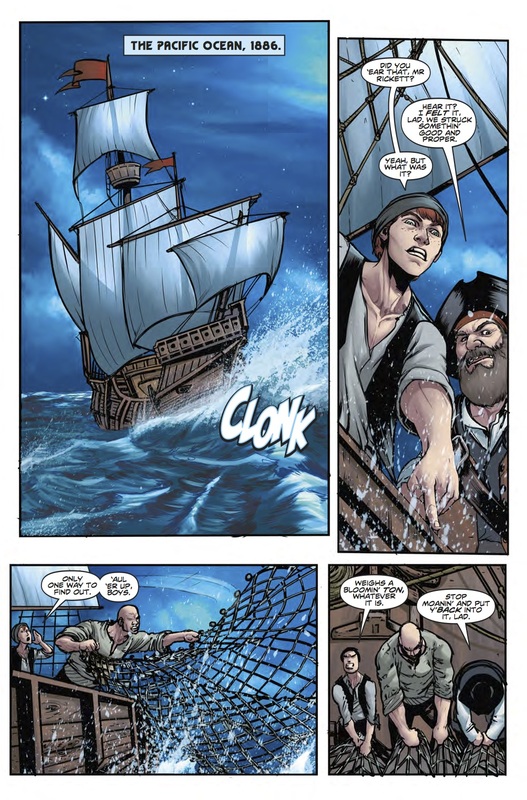 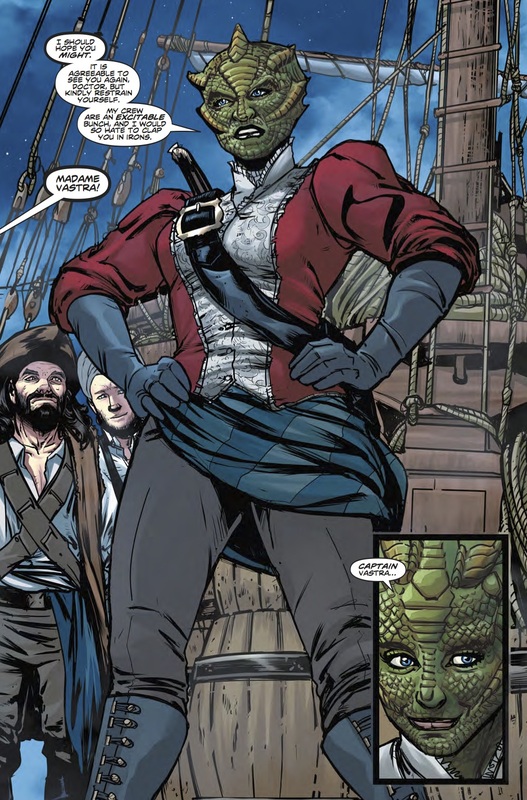 The issue, which hits stores September 6th, is written by Cavan Scott; with art by Adriana Melo & Cris Bolson. 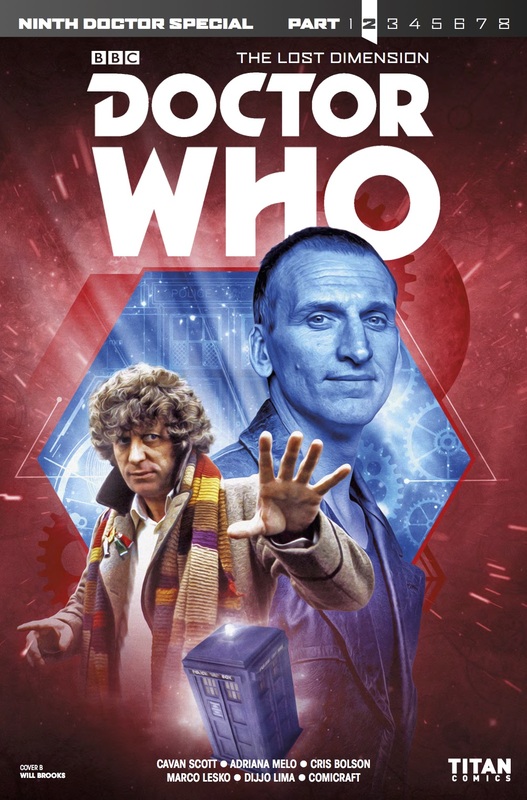 The covers are by Adriana Melo, and Will Brooks (Photo). 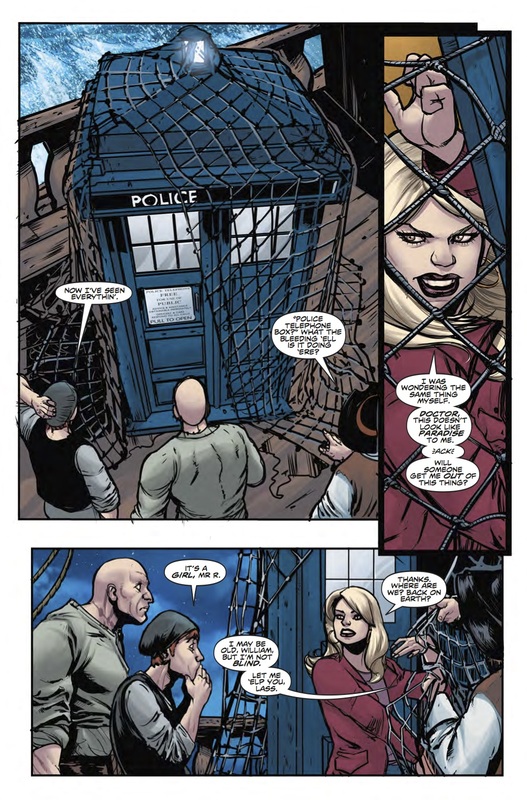 But the Ninth Doctor and his companion Rose Tyler know nothing of this...Yet.